My husband is a huge fan of beets. I didn’t grow up eating them — I assume because my mom didn’t care for beets. I think I’ve mentioned before that if my Barb didn’t like something, she didn’t make it. Period. To my surprise, beets are delicious. And good for you to boot. Just check out these fun beet FAQs from Love Beets. After ordering beet salad far too many times in restaurants, I realized it was probably easy to make at home. Super easy if you take a pass on roasting the beets yourself. 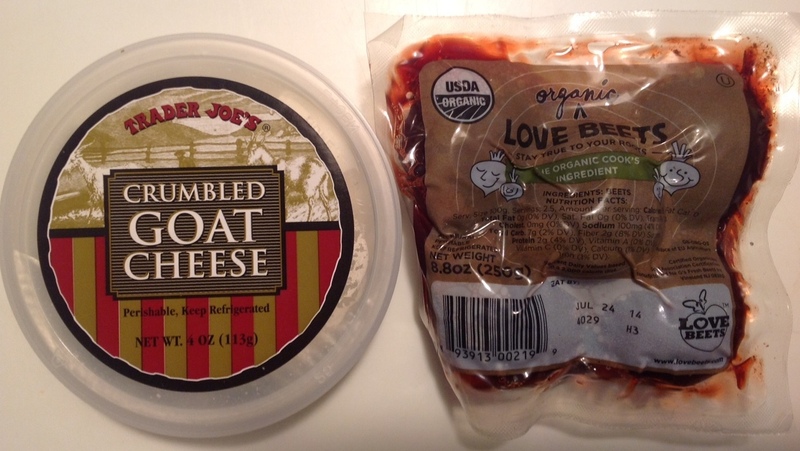 Buy cooked beets and goat cheese, preferably already crumbled. (We’re making this easy, right?) I typically choose Love Beets’ Freshly Cooked Beets or Trader Joe’s Steamed and Peeled Baby Beets, depending on where I shop for the week. 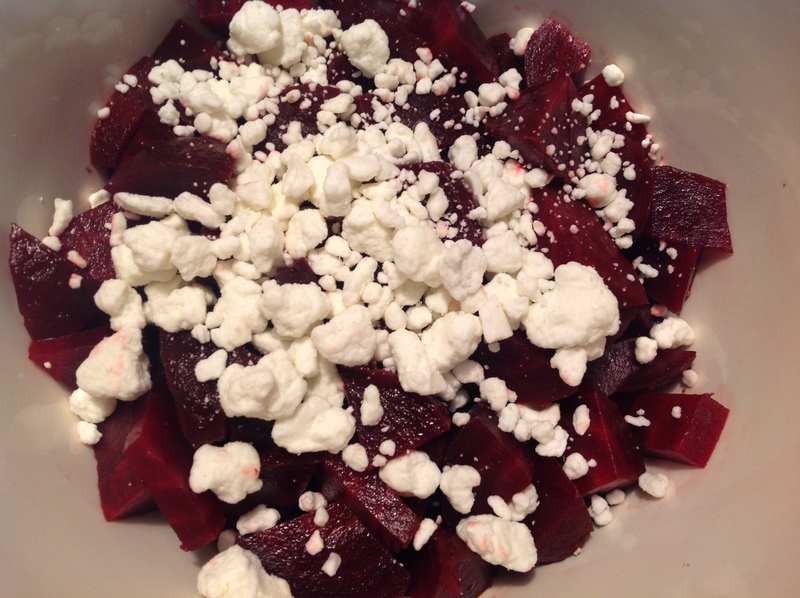 Cut up the beets, place them in a colorful bowl (of course), and sprinkle with the crumbled goat cheese. Note: If you don’t want to waste the beet “juice,” use it as red food coloring. My friend Dana boiled beets, and then dyed buttercream pink. And no, the frosting didn’t taste at all like beets.